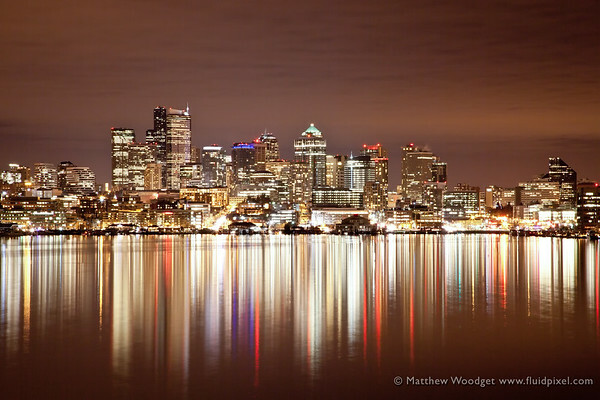 night photography | Photography, Storytelling, & Growth Marketing by Matthew Woodget. A colorful photograph of Seattle at night time where the city lights are illuminating the clouds from below. What a lovely evening for photography down at Gasworks Park in Seattle. Several very nice photos but this one wins for today’s 365 Project. 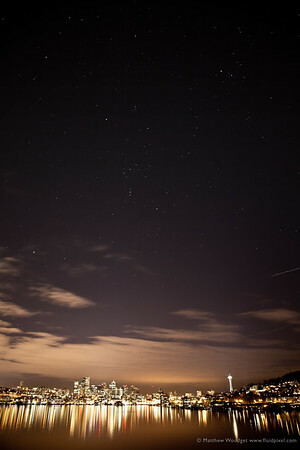 A higher resolution view of the picture shows off the stars rather more clearly.